LeakBot connects seamlessly to the existing home WiFi network and continually sends information about the status of a home’s plumbing system around the clock. It only takes a couple of minutes to clip to the mains water supply pipe beneath the kitchen sink, and you don’t need any tools or plumbing know-how. Just download the app, activate your account and follow the options on screen to get started! LeakBot utilises patented Thermi-Q technology to accurately measure the air temperature in your home and the water temperature in your plumbing system. If you have a leak it will continually draw colder water from outside into your home, creating a consistent drop in temperature compared to the air temperature inside your home. 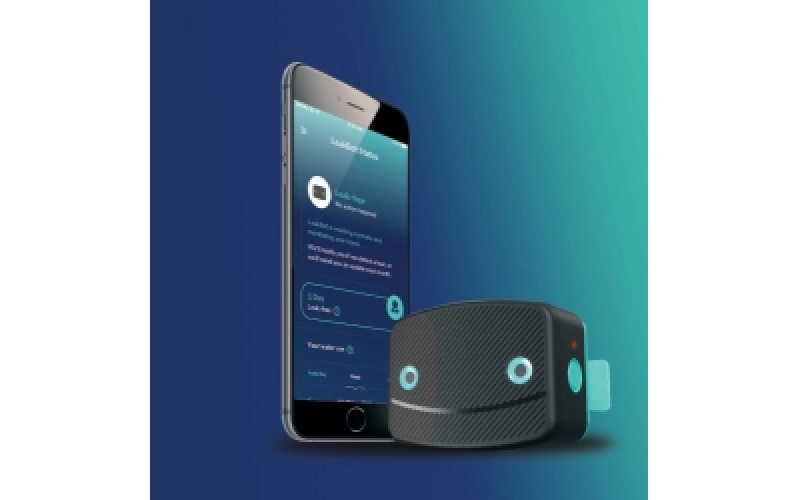 LeakBot can sense the prolonged and consistent drop in temperature and alerts you to the problem immediately. Once fitted, LeakBot’s advanced algorithms begin to recognise routine water-usage activities in your home, like running a bath, filling the kettle or putting on the dishwasher. Then, if LeakBot detects any continuous unusual water flow in your pipes, it alerts you via your smartphone. The message includes step-by-step advice on how best to resolve the issue and offers rapid assistance from HomeServe’s expert technicians as part of the end-to-end service.